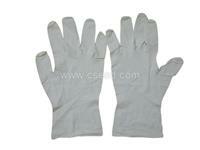 The 9 inch nitrile gloves are widely widely used in aquaculture, housework, industry, health protection, medical treatment. And this kind of gloves do not contain latex protein, so it will not cause any anaphylaxis. Product Information: The 9 inch nitrile gloves are widely widely used in aquaculture, housework, industry, health protection, medical treatment. And this kind of gloves do not contain latex protein, so it will not cause any anaphylaxis. Meanwhile, it is anti-static, aging-resistant, oil-resistant. The model of the gloves is designed by human hand shape with great sensitivity, better tensile property and puncture resistance, better tensile strength and excellent wear resistance . Package: 50pairs/bag or 50 pairs/cases, 20bags/box or 20 cases/box, 1000pcs/box.